Lakeside living at its finest in Port St. Lucie. This gated community of 1- and 2-story new homes by Kolter features a complete waterfront amenity center with boat ramp for light sailboats, kayaks, canoes and paddleboards; beach with volleyball; picnic pavilion; resort-style pool; kids' "spray ground;" two tennis courts; full-court basketball; fitness center; wide walkways; club room and more. 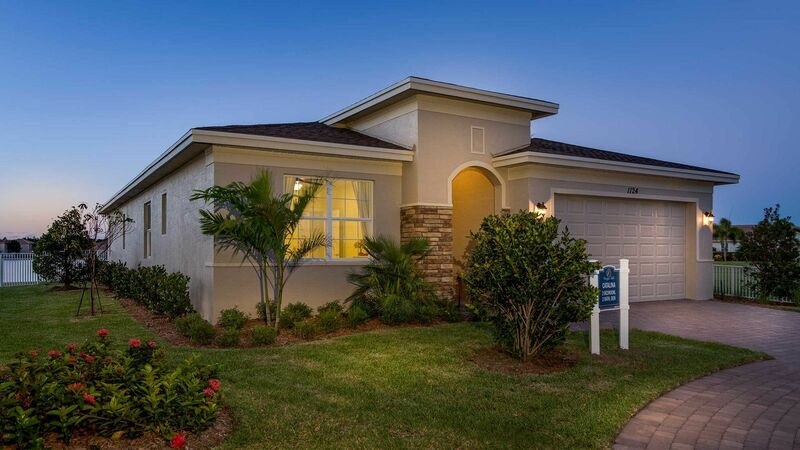 Convenient to I-95, shopping & dining along St. Lucie West, Tradition Field and more.